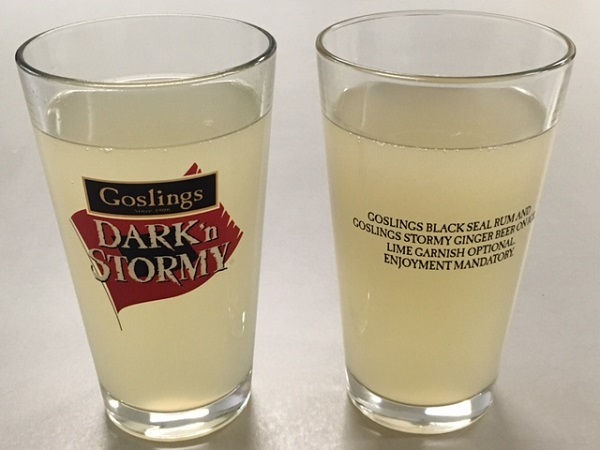 Make the perfect Dark’n Stormy with these 16 oz. pint glasses that come with full color graphics. Goslings Black Seal Rum and Ginger Beer drink recipe on second side. Sold as a 2 piece set. Gift boxed.